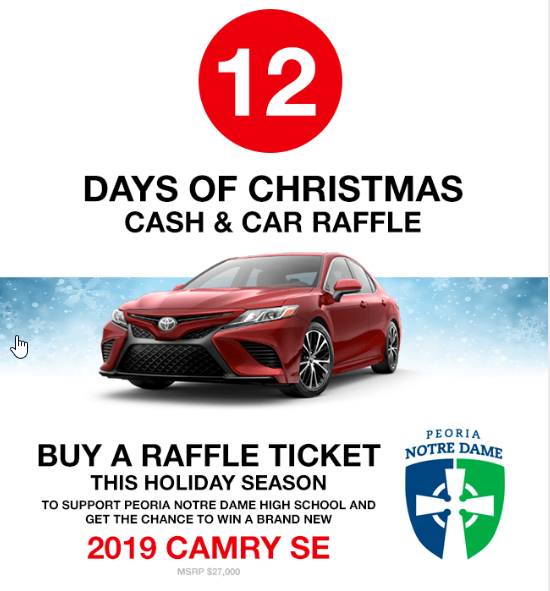 We are extremely excited to announce our partnership with Peoria Notre Dame on the Inaugural 12 Days of Christmas Cash and Car Raffle. Your support will give you daily chances at cash prizes as well as the Grand Prize, a Brand New 2019 Toyota Camry SE. Tickets are $75 or less depending on how many chances you purchase. 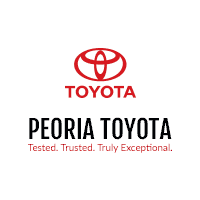 Stop by Peoria Notre Dame, Peoria Toyota or online at www.PeoriaNotreDame.com/12Days to pick up your tickets. Now check out Simon and Notre Dame’s Faculty, Staff and Students drool over this unbelievable prize!